Doctors Health Press has long been reporting on strategies to use against Alzheimer’s disease and related memory loss, because we have known it is a health problem of rising significance. We have just found out how much “rising” means. The number of people with Alzheimer’s disease is expected to triple in the next 40 years, according to a study in Neurology. We should all sit up and take notice. The rise is due to the baby boomer generation growing older. Its burden on society itself will be huge, with caregivers facing a more difficult future thanks to the increased number of people disabled because of Alzheimer’s. The researchers say that their study draws attention to an urgent need for more research, treatments and preventive strategies to reduce this epidemic. RECOMMENDED: Early warning on dementia discovered. Yes, epidemic. The same word casually used for obesity and diabetes is now being applied to dementia. Here, researchers analyzed information from nearly 11,000 Chicago residents over the age of 65. 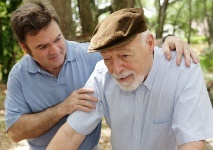 For about 18 years, participants were interviewed and assessed for dementia every three years. The study found that the total number of people with Alzheimer’s dementia in 2050 is projected to be 13.8 million, up from 4.7 million in 2010. About 7 million of those with the disease will be 85 or older in 2050. Clearly, another big reason why the rates are climbing is because we are all living longer. The researchers say we need to be prepared for the future, when Alzheimer’s will take a much bigger toll than it currently is. We are facing a dramatic increase, and it’s up to all of us to try and take measures to protect ourselves. There are many ways to try to protect yourself from Alzheimer’s, from herbal medicine (like ginkgo) to regular exercise to brain stimulation (such as brushing your teeth with your wrong hand). Hebert, L.E., et al., “Alzheimer disease in the United States (2010-2050) estimated using the 2010 census,” Neurology; published online February 6, 2013.